Are you a big fan of hamburgers? 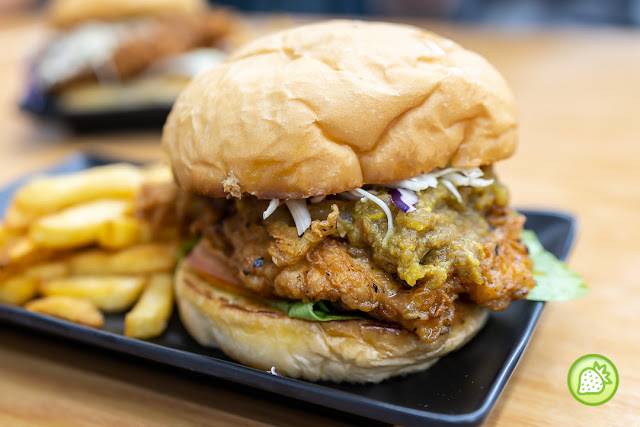 Recently, we had found out a new burger place in Damansara Utama serves you with the delicious burger which will definitely makes you come back for more without burning your pockets. 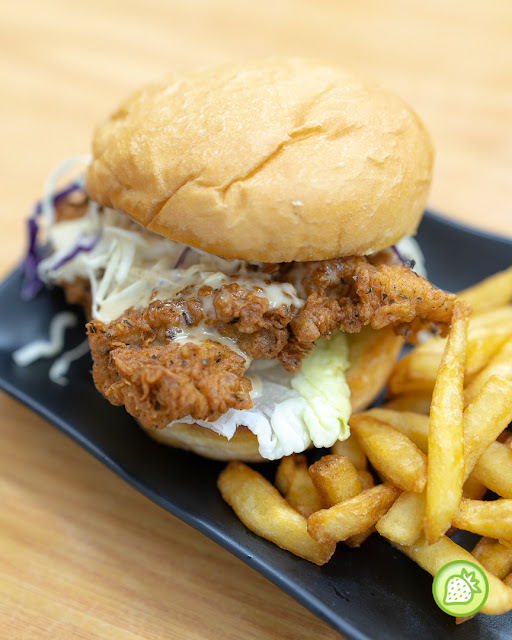 Located at the busy streets of the Damansara Utama, one can have this delicious burger in one goal. As for now, they have 4 types of burgers available on their menu. We started off with the Roasted Sesame . The Roasted Sesame Burgers are packed with the delicious chicken patty and fragrant sesame taste. Served together with some greenies. 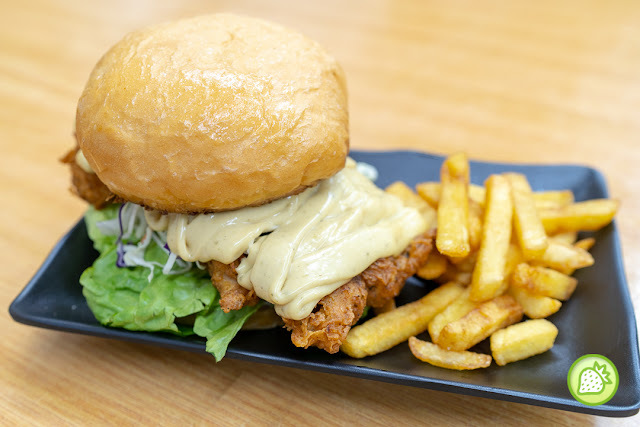 The Japanese Curry Burgers comes with bursting light spiciness with the creamy texture. The curry burgers are awesomely good which is just perfect for our tastebuds. Its flavour is one of my favourites as well which the meat comes simply tender and aromatic. They are well matched with the curry sauce which makes the overall taste of the burgers even better and aromatic. The Salted Egg Burgers comes addictively good. The cut of the meat comes fresh and it is drenched with the generous portion of salted egg sauce. The creamy and yet robust flavours from the salted egg sauce really enhanced the overall taste of it. Last but not least, try their Buttermilk Burger. The Buttermilk Burger comes simply appetizing. This is another of my favourites as I am a big fan of buttermilk as well. The taste is well paired with the juicy meat which makes the overall taste of the burger delicious. All their burgers served with French fries as the sides. 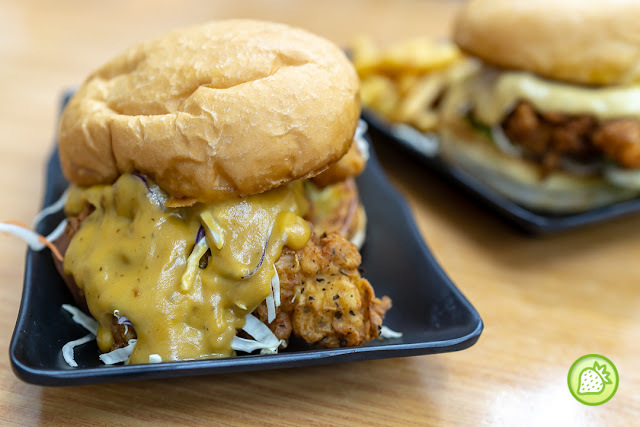 If you are looking for a nice burger, The Burg definitely would be the place you are looking at affordable and yet delicious burger places.